wants to hold an advantage over its competitors. both platforms involved in the transaction. applications receive compensation for data exchange. 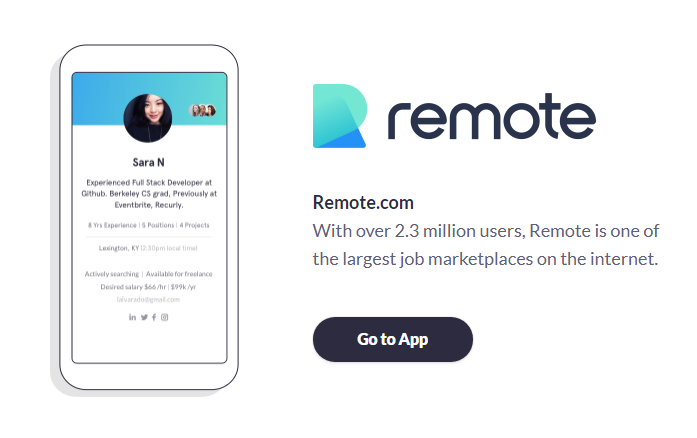 bound to any single platform for their employment data, freelancing, or personal reviews. freelance transactional data, Git commits, application specific data, etc. 1. Network effect and strong ecosystem. 2. Multiple good scaling roadmaps. 3. Easy integration with third party smart contracts and applications. 4. ERC201 token standard and easy integration with wallets and exchanges. reduce total bandwidth requirements for applications and nodes. 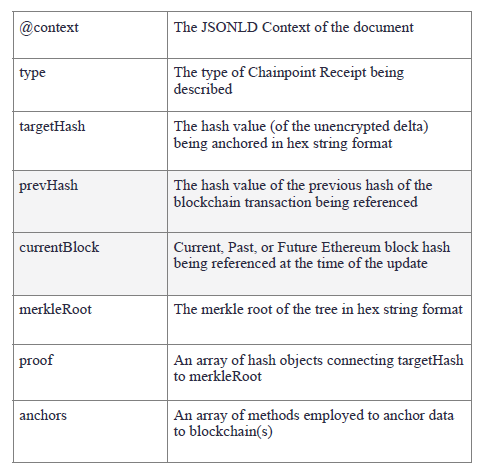 hash of the previous version hash. is part of the same transaction as before, it is needed to reduce the transaction requirement. within Ethereum smart contracts is picking up and should become a standard soon. control of who receives the push updates. The data itself is not exposed to the public. IPFS is irreversibly on the internet and cannot be taken back. unencrypted update being referenced on-chain publicly. the update was not shared publicly before the time of the block creation. not a fork of an older update. For more information on the Chainpoint protocol standard see the Chainpoint white paper. functionality is to build a versioned key-value store similar to Noms5. of applications will rely on this feature for multiple reasons. encryption of updates is used for application data access control. then directly download those updates from IPFS without the prior permission from the user. one application, the stored encrypted data should require more storage than the unencrypted data. operations and storage requirements should be met even on mobile devices. even if the data itself was never published publicly. 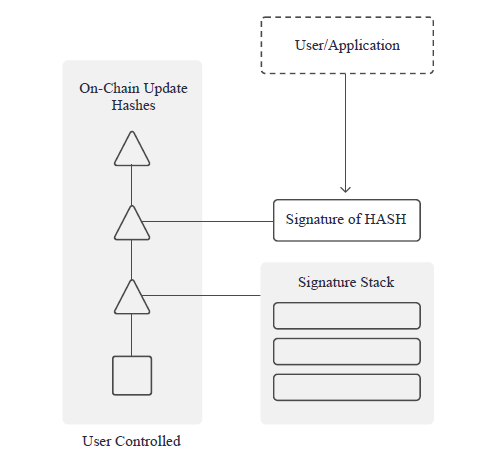 signing of the version hash the user pushed to the blockchain. signals to the rest of the network that the content of that version hash is meaningful and correct. 1. Employers vouching for the truthfulness of their employees’ work history. 2. Schools vouching for the truthfulness of their student’s credentials. 3. Students of a school vouching for the integrity of another student. 4. Identity services vouching for their citizens’ identity information. 5. Applications vouching for the truthfulness of an application related data format. reputation layer needs to be used to assess how good a signal any individual signature is. publishing of signatures of versions/data is fully at the discretion of the signing party. by any entity. This ensures signature output will remain both small enough and verifiable. Chainpoint approach. Data formats are not prescribed in the dock.io Ethereum smart contract. on. Data formats are only useful to users as long as a large number of applications accepts them. being able to claim that their data/service is openly available. The smallest atomic unit within a data format that can be versioned is a “tag” and “data” pair. frequently then we advise to version the individual pairs. application that the pair is part of an up to date version hash on the Ethereum blockchain. Multiple experience formats combined can constitute an employment history format. to the user or third party applications. access. This is an example of Microsoft’s internal strategy of “embrace, extend, extinguish8”. Linkedin has also utilized similar tactics. can be solved with token based modeling. are incentivized to keep exchanging data with one another long term. lot of stability and predictability to the exchange rate of the token. them to create a competitive advantage. This is a major problem in today’s data landscape. work properly, the users must have full control of their own data. practice deceitful tactics like faking accounts and playing the system as a means of income. the other applications is burned. supply of tokens on the dock.io protocol. Using this model, applications will indirectly pay other applications to access their data. will remain in ultimate control of their own data. payment for associated data is changeable through an onchain percentage mechanism. included, 100% of the fee would be burned and therefore unusable. 1. There should be a cost for applications to acquire user data. decreasing due to the burning mechanism. users, does not have any monetary incentive to interact with the product or their own data. towards other applications and the quality of the data. overall quality of data should increase during the cycle of the protocol. operate with such a large number of users and applications. state blockchain system will be prone to transaction floating issues. Bitcoin network as an attack method. long period of time would prove to be extremely costly. they can send version data of their latest user related data. It is possible that the scaling efforts of the Ethereum mainchain do not produce adequate results. be put in place to ensure the transition is as smooth as possible. would then be filled with meaningless data. that the data is false, rendering this strategy useless. 3. The oracle is shut down by hackers or authorities. 4. The oracle is hacked and relays false exchange rate data. Applications can decrypt and share user related data with applications not approved by the user. stop sharing new data with the application sharing with non-permitted applications. can be useful for the applications and the users. way by publishing unencrypted data to IPFS. forever in the public domain. This could create issues for certain user groups. for many awards and publications. Motive Metrics as the Director of Engineering. been a core team member for over 3 years. was a senior UX designer for Honeybook and led design for the network and growth teams. for some of the largest deals the company achieved. Quantitative Finance and Magister in Data Mining, Big Data and Knowledge Discovery. 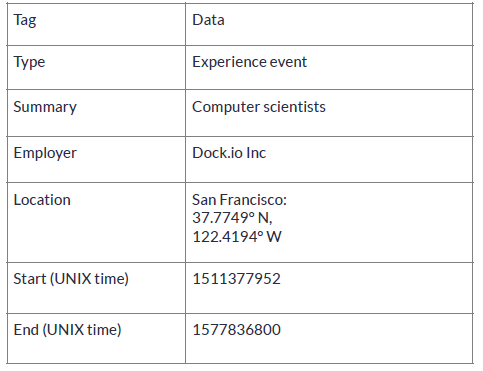 Previously he was with Sabre Corp.
Cassandra and Docker. He previously was with Ampush. was previously with Hunted Hive. been with the team for over 3 years. interfaces ranging from portfolio microsites to agile SaaS startups. I want to start by thanking everyone in the community who has been active and engaging since we announced the project. Response has been overwhelmingly positive and the entire dock.io team is very appreciative. 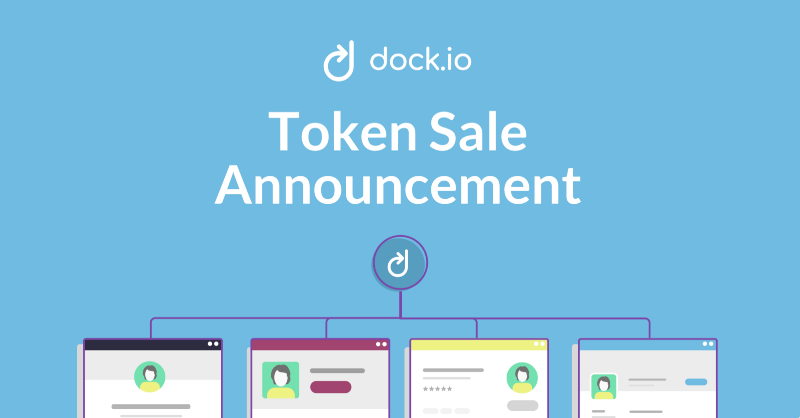 With that said we are happy to announce the DOCK token sale! Token Sale Summary The DOCK token fuels the dock.io protocol ecosystem. For more specifics on how the token works, please read our Whitepaper. Individual Cap: the public sale will have an individual max cap on participation, which allows more people to be involved. The cap amount will be set after we complete KYC on participants. Private Pre-sale We had a private presale which allowed us to bring in strong institutional investors who have been directly involved in some of the most successful crypto projects to date. Minimum investment was $200k, and all presale investors received the same terms: 40% bonus, and 50% of all tokens locked for a 4 month period. Only value add investors were selected to participate and demand was very high. Welcome to the last developer update of Q2! Our focus this quarter has been on implementing the core building blocks of the infrastructure layer that supports the DOCK data exchange protocol. We built the DOCK OAuth Server & the DOCK Protocol Gateway earlier in the quarter & then shifted our focus on proving out the system with our first external OAuth integration with Remote.com. As a next logical step, last couple sprints we have been building integration where Remote.com receives data from DOCK using the new DOCK Protocol Gateway. 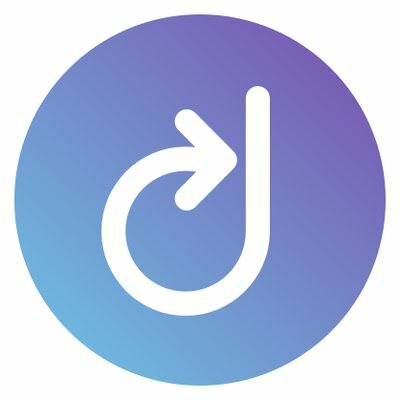 This is a huge milestone for us as the initial one way DOCK protocol experience will soon be working live end to end as a reference implementation! Decoupled OAuth server with data exchange layer so partners can opt to use DOCK just for OAuth, if they choose. Improved design of our AWS infrastructure layer to streamline deployment process. Improved proactive performance monitoring & error logging. While the core foundational pieces for the protocol are being worked on, we are also researching user intent on the App side. To validate our assumptions & finding user intent we ran a series of experiments last couple sprints the results of which will guide us deciding what utilities we build on the app, or the type of companies we seek out to partner with. 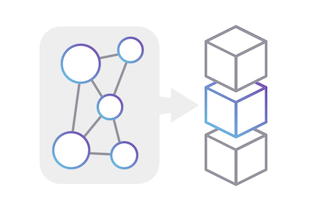 The core capability of a decentralized data exchange protocol like DOCK comes from it’s Blockchain layer. While we are getting ready to prove the OAuth Server & the Protocol Gateway with large number of partners, we are also working to enhance our Blockchain based solution design to be more scalable & cost effective. Last couple sprints we ran design sessions discussing ways we can use off-chain channels as possible option to make the system more scalable. We discussed flows minimizing transactions on chain where most interactions are kept off-chain in a way final state is provable & enforceable on the main chain. One important aspect we are keeping in mind is that the solution does not only needs to be technically feasible, but also incentivizes the parties enough to close the channel so payments can be made. Right now we’re deep in R&D phase and we have rather interesting solutions that we think are promising. We’re building PoCs to prove our ideas and make sure they are ready to be integrated in the final design.